Come visit Las Vegas’s newest watering hole in the Arts District – Jamaican themed lounge Jammyland. With a welcoming front and back patio seating arrangement, including large, sharable fire pits, and funky stringed lighting reminiscent of island décor, Jammyland is an inviting oasis. 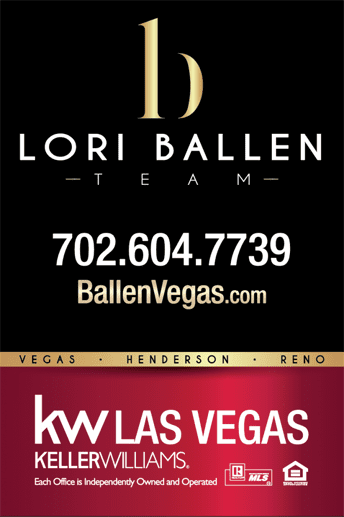 Shop All Homes near Downtown Las Vegas – Your Way! You won’t just find funky artwork and vivid coloring in Jammyland. If you’re craving a taste of sweet and spicy Jamaican cuisine, the authentic, freshly prepared dishes the owners plan to serve on their menu will please and surprise you. For a refreshing beverage, tasty cocktails made with only the finest spirits and freshly squeezed juices are handcrafted to order. Initially opening just as a quality cocktail lounge and low-key music venue, Jammyland’s food program will slowly grow, finishing in summer of 2018. Co-owners Danielle Crouch and Allan Katz have approached their business with a slow-and-steady philosophy. Master the art of the cocktail, set the ambiance, and gradually introduce delicious, uniquely Jamaican recipes for patrons. This approach seems to be working – Jammyland has had a fair share of positive reviews starting with the initial opening in February of 2017. It’s a rum-focused cocktail lounge, but also offers wine and craft brew. I ordered a Stranger Tings and another drink ( hardnuckle? ), both of which I recall were plays off the old fashioned. The second used reduced stout to add sweetness and a bit of chocolate in place of sugar. Both drinks were fantastic. The staff was super friendly. Ike, one of the bartenders who came from the flatiron lounge in NY, is passionate about his craft. – Yelp review from opening in February 2017. As Danielle and Allan thoroughly trained their hardworking staff on the ins and outs of delicious quaffs and island hospitality, their food program was busily in the works. Focusing on “authentically nontraditional island dining,” the dishes coming from Chef Grayer’s kitchen and backyard smoker will have all the fiery and funky flavors of Jamaica, presented in more familiar packages. Creating appetizers and meals that are easily shareable and work within the demands of a lounge setting, patrons can taste the flavors of Jamacia in easy-to-handle vessels such as a sandwich, an entrée salad, or a bowl. Composed plates and curries will rotate seasonally, in a farm-to-table approach, with heartier items in the winter and lighter fare in the summer. Expect vegetarian, vegan, organic and even an ital (Rastafarian-style vegetarian) option. Appealing Rum Shack ambiance of Jammyland is a welcome alternative to the flashy, over-the-top brilliance of the nearby Strip. For those with little exposure to Reggae music, Danielle’s specially chosen soundtrack will impress you. With over 2500 different tunes, there’s always something different to experience at Jammyland. The warm fires and twinkling lights invite you to relax, laugh, and enjoy your company. The rum – oh the rum served at Jammyland! From light and clear to dark and rich, nowhere else in Vegas has the selection of boutique, handcrafted Island spirits. Their featured drink menu revolves around 15 cocktails, many naturally favoring rum of all kinds, but especially in the English-style distilling tradition (Jamaica, Guyana, Barbados and Bermuda among them). With an emphasis on seasonality and variety, the selections change, giving repeat patrons new things to experience. Drinks are tasty, ambiance is inviting, employees are attentive and friendly… what more can you ask for – Yelp review, February 2018. For a relaxing experience away from the hustle of the Las Vegas Strip, grab your favorite squad and head to Jammlyand for fresh drinks in an inviting outdoor setting. Come visit Las Vegas's newest watering hole in the Arts District – Jamaican themed lounge Jammyland. With a welcoming front and back patio seating arrangement, including large, sharable fire pits, and funky stringed lighting reminiscent of island décor, Jammyland is an inviting oasis.